Click on the "Download Firefox" link on the home page. 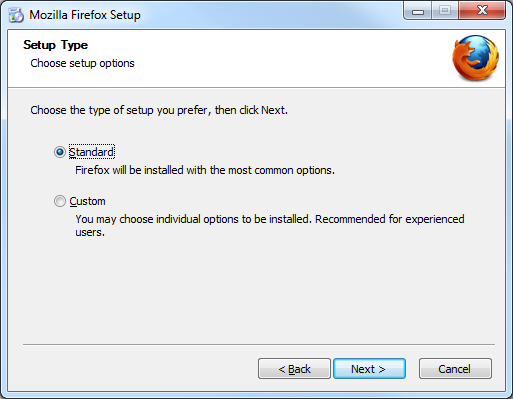 Select either "Run" or Save"
When Firefox has completed downloading Select "Run" or "Open"
We are going to leave it as "Standard"
Please note the "Use Firefox as my default web browser"
Only select this option if you wish to use Firefox as your full time browser. 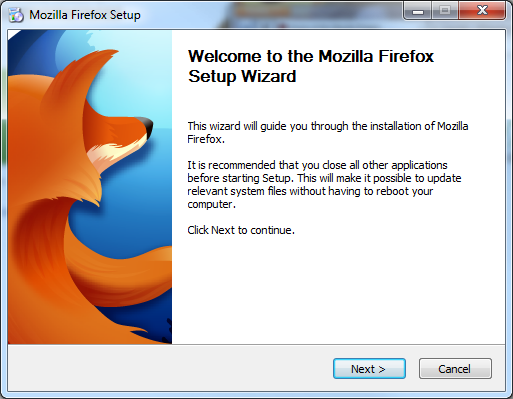 Firefox is now installed. You may launch Firefox by leaving the checkbox for "Launch Firefox now"
If you chose to launch Firefox you will be prompted with the following window. 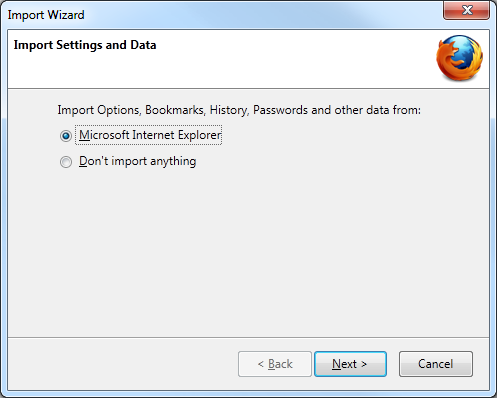 This option allows you to import all of your personal information from Internet Explorer to Firefox. 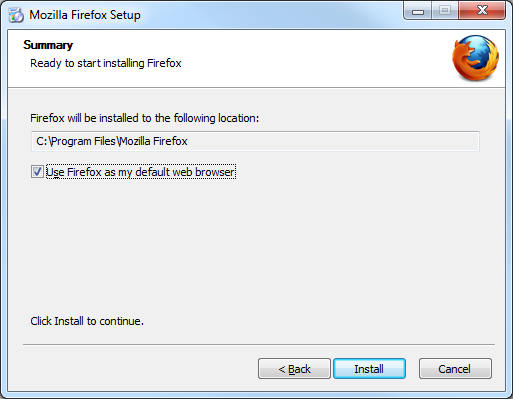 If you plan to have Firefox as your default browser going forward you will want to use this feature.